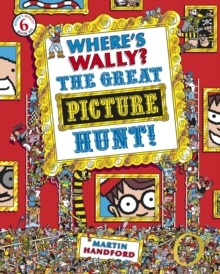 Get ready for Wally's bamboozling picture hunt In this classic activity book!Where's Wally? is a global phenomenon, and this stupendous adventure is nothing short of a masterpiece! Find Wally and his friends in each of the intricately-designed scenes as they go on a real Art Adventure. There are lots of other things to search for too, as well as a host of extra puzzles and activities.